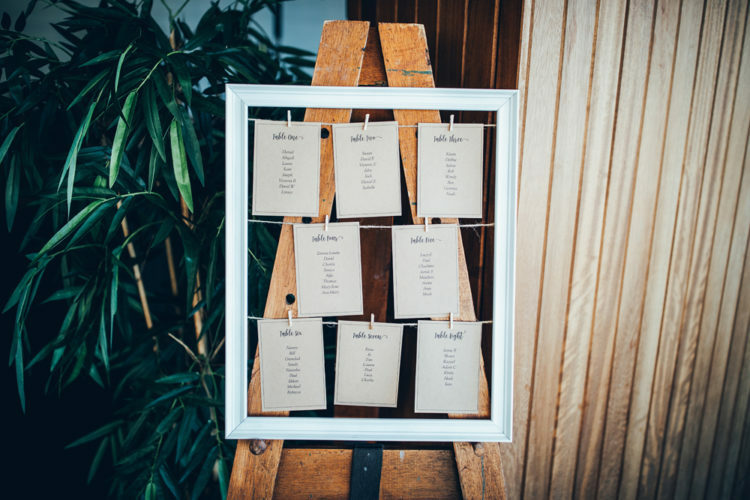 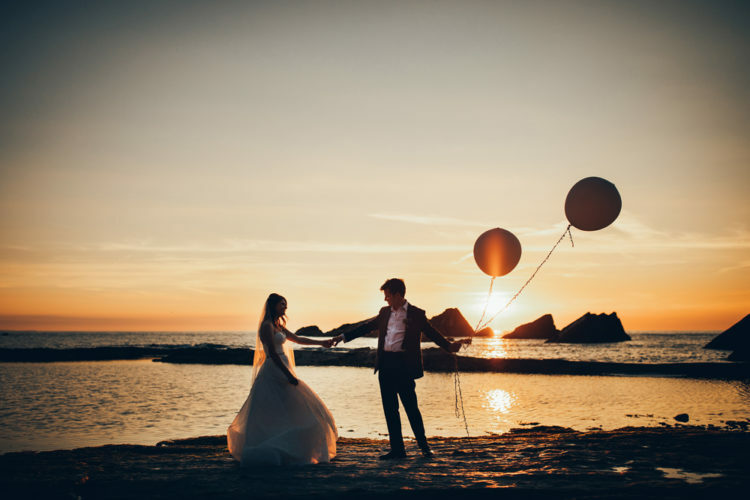 If you love seaside weddings, you gonna be excited with this one! 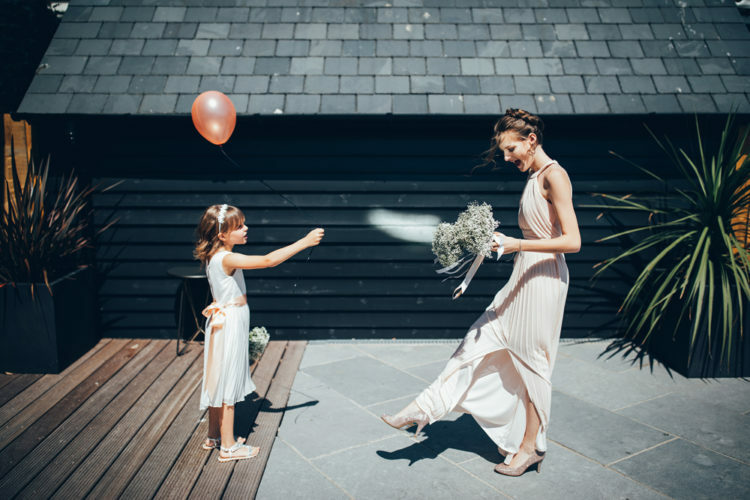 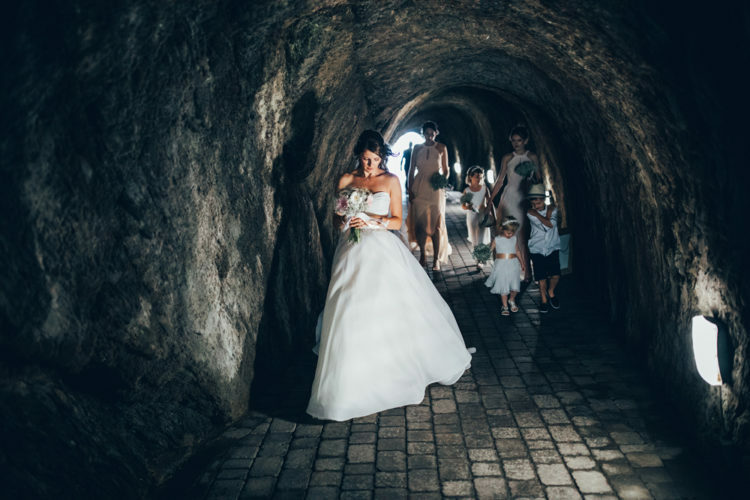 This delightful Devon celebration, at the stunning coastal venue of Tunnels Beaches, has all the ingredients of a great day at the beach, with the added bonus of a beautiful wedding ceremony and reception. 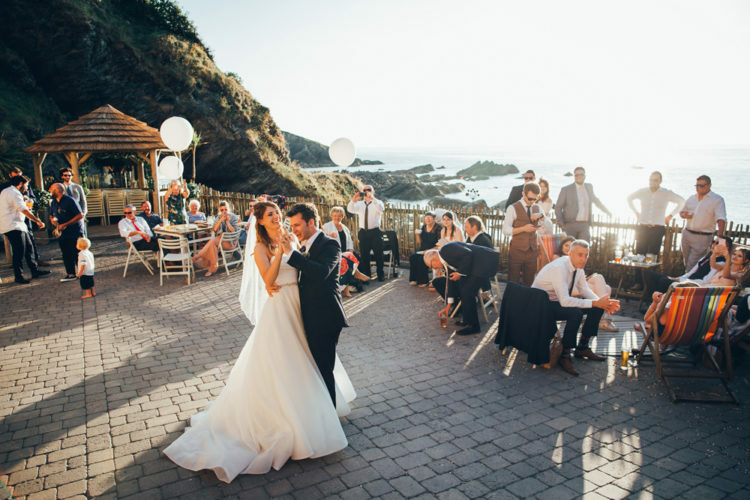 Think a cliffside courtyard with gypsophila arch, a BBQ buffet, and a bride playing the frisbee. 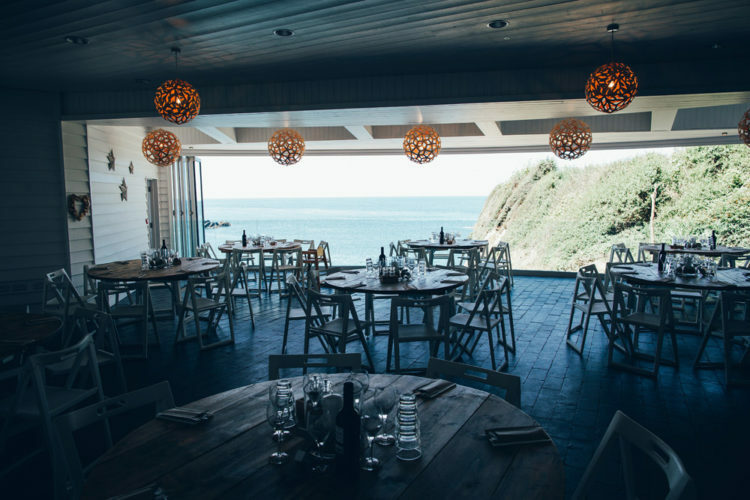 Set against a backdrop of clear blue skies and a private beach, this will have you dreaming of summer days – and reaching for an ice-cream. 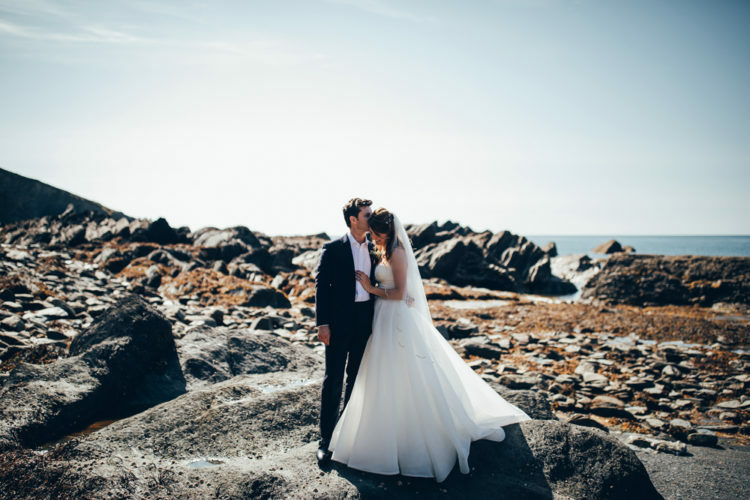 One of the greatest features is the aisle style, and what can be more dreamy than a gypsophila arch, set against the rugged cliffs and coastline of North Devon? 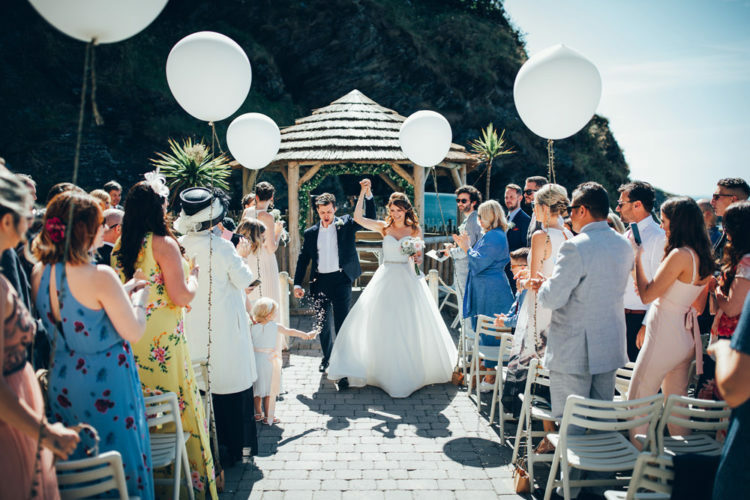 The decor was kept minimal but using giant white balloons to line the aisle is a genius idea; a more modern alternative to pew ends, but equally as romantic, and great to use as props later on. 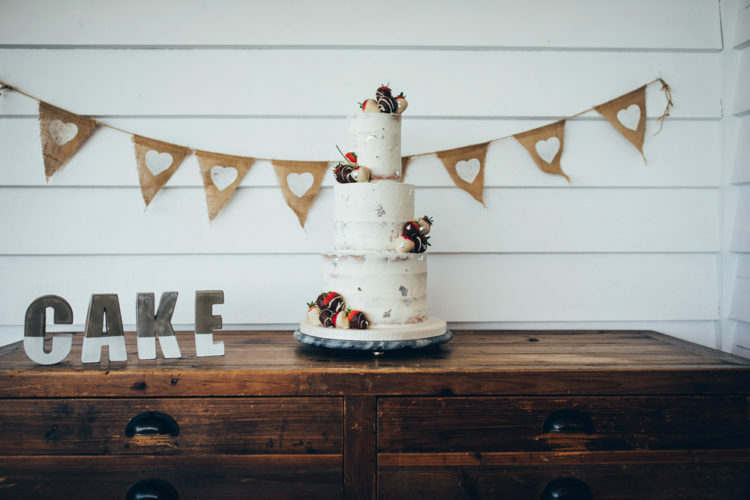 The wedding cake was a naked one topped with fresh fruits and berries.